I'd love to stay at this place. A pal made his surf shack out of one shipping container (http://surfshackbox.com/photos2.html) but for those of us with limited tools, it's hard to imagine upgrading one much past camp shelter. I'd be interested to find any sites that feature a "making of" for converting containers, too...pass on any info if you have some! That surf shack looks nice! Great Idea! Can I find more photos of it? One can always borrow tools from friends. 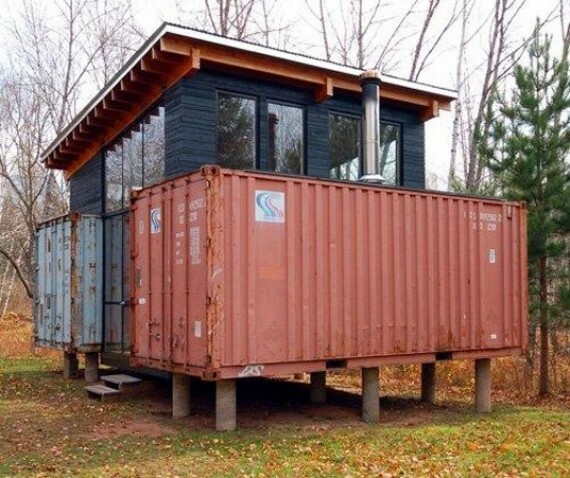 There are lots of unused cargo container in different ports and areas, if those are use to build home like this, it will help the environment instead of using woods.